Rejection of the electoral reform proposal would “put an end to this round of the game that we have been participating in for a long time. Afterwards, we will assess the big picture and think what is next for Hong Kong’s democracy movement,” said Professor Benny Tai, co-founder of Occupy Central. There has been a lot of discussion over the future of Hong Kong’s democracy movement following the failure of the Umbrella Movement to achieve genuine universal suffrage. Since then, a growing tide of localist thought and the lack of a unifying issue for the pro-democracy camp have caused a rift among supporters. The Chinese government has increasingly hardened its stance towards Hong Kong’s pro-democracy camp as well. In this environment, it appears unlikely that Hong Kong will achieve democracy in the foreseeable future. Nor will the democracy movement be able to gather supporters for another wave of mass protests. On Wednesday, Raphael Wong, the vice-chair of the League of Social Democrats, told HKFP that with the proposals rejected, the democracy movement should focus on three types of goals: short-term, mid-term and long-term. The short-term goal should focus on getting Chief Executive CY Leung to resign. 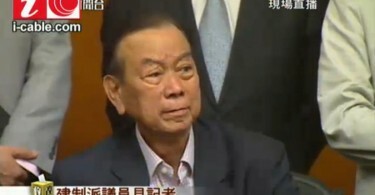 “He is the one most responsible…[and] should resign due to his failure in the political reforms,” said Wong. In the mid-term, Wong said the pro-democracy movement should turn its attention to social issues. He cited the development project in the north-east New Territories – where protests nearly caused the occupation of the legislature back in June last year – and campaigning for universal retirement protection as examples. Finally for the long-term goal of the movement, Wong suggested amending the Basic Law and introducing a shadow government. The two ideas, of amending the Basic Law and creating a shadow government, have been rapidly gaining prominence. The idea of creating a shadow government was discussed during the Umbrella Movement by Benny Tai but was never acted upon. The Basic Law, Hong Kong’s mini-constitution, was drafted following the signing of the Sino-British Joint Declaration in 1984, which promised the return of Hong Kong to mainland China in 1997. The Basic Law provided a guarantee that Hong Kong’s way of life would continue after the handover. 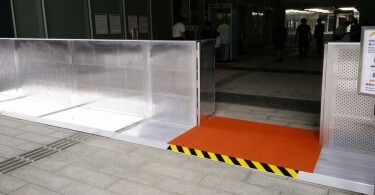 However Hong Kong people were not involved in the drafting process. Since 1997 many of the articles have become points of contention, with 500,000 people taking to the streets in 2003 to protest against the implementation of a national security law as stipulated by Article 23. In this year’s annual June 4 vigil, in remembrance of the Tiananmen Square massacre, students stirred controversy amongst the pro-democracy camp by burning copies of the Basic Law on stage, advocating a desire for its amendment. 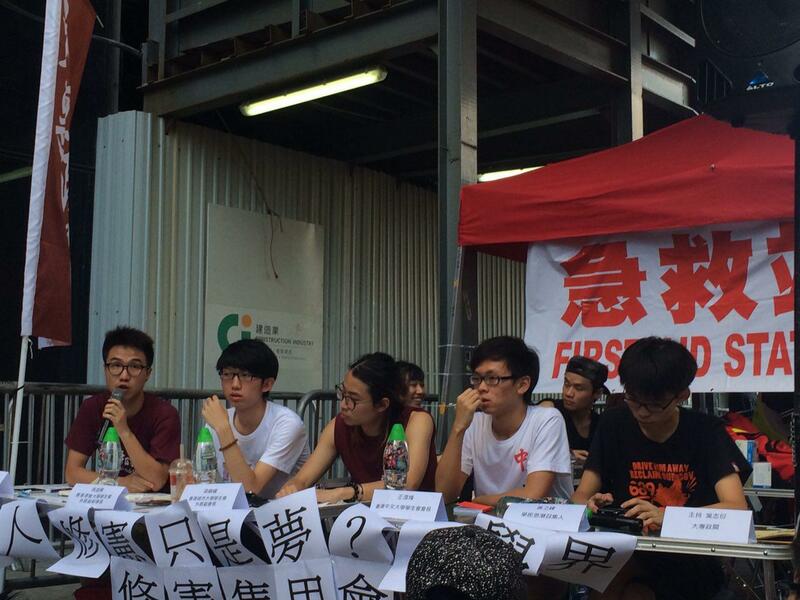 Forum held by university students, including Sunny Cheung (2nd from the left) and Joshua Wong (first on the right) on amending the Basic Law. 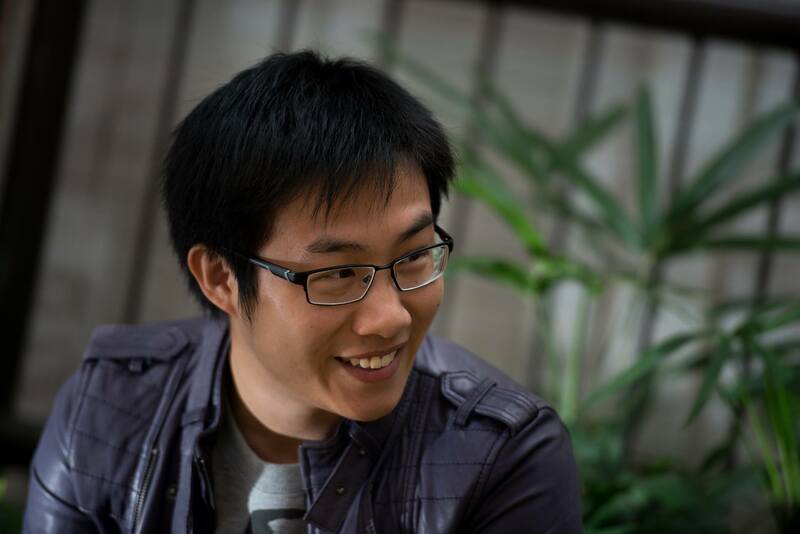 For Sunny Cheung, the external vice-secretary of the Baptist University Student Union, rewriting the Basic Law could be a way of getting out of the current political deadlock. Others are however looking beyond the Basic Law. 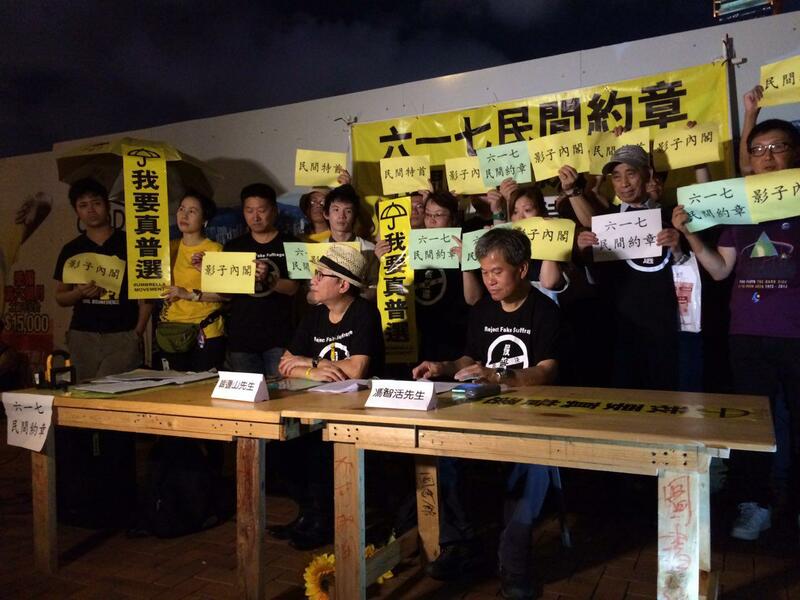 A group named “6.17 Social Contract,” led by James Hon Lin-shan, an activist and retired teacher, has called for establishing a separate civil charter. This contract, that is still being discussed, would grant legitimacy for a popularly elected chief executive and allow the elected to form a cabinet that would run parallel to the official structure. The 6.17 refers to the day that the Hong Kong government submitted the electoral reform resolution for deliberation and voting. In a press conference on Wednesday, Hon said Hong Kong had officially stepped into “an era of post-political reform” and that having a popularly elected chief executive was a way forward for the city. Through this popularly elected chief executive and cabinet, Hon said the main goal was to create a platform for Hong Kongers to discuss how to preserve Hong Kong’s values, such as the rule of law, human rights, freedom and a respect for democracy. Responding to HKFP’s queries, one of the organisers of the “6.17 social contract” said they hoped to make their idea a reality on or before 2017, the year when the next chief executive would be elected. Post-reform vote: what now for Hong Kong's democracy movement?